1. 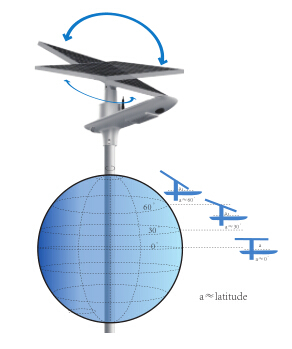 Adjustbale solar panel--- set the panel angel to get maximum solar energy. 2. 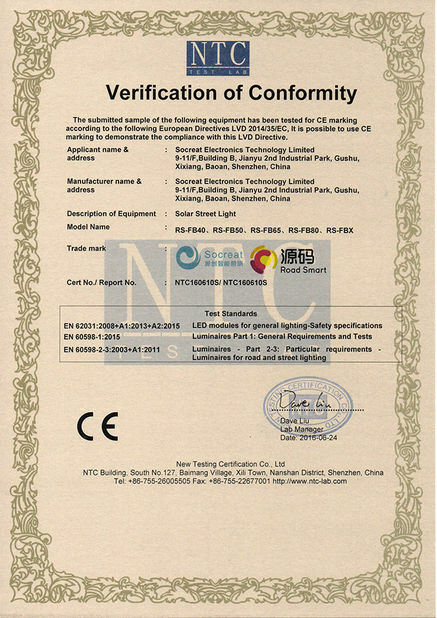 Monocrystal solar panel, 19% PCE,25 years lifetime. 3. LiFePO4 battery, >2000times cycle charge and discharge. 4. Backup 3-5 rainy days. 5. 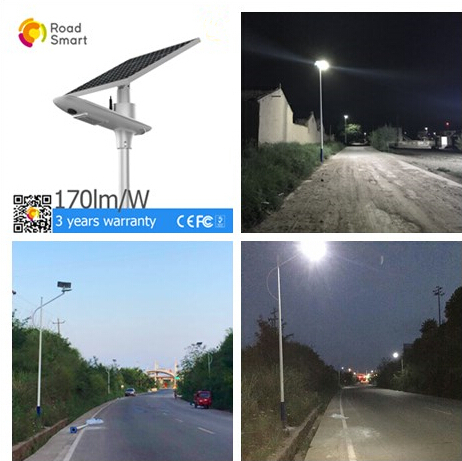 Bridgelux led chip, high efficiency 160lm/w. easy to transport, install, maintain. 8. 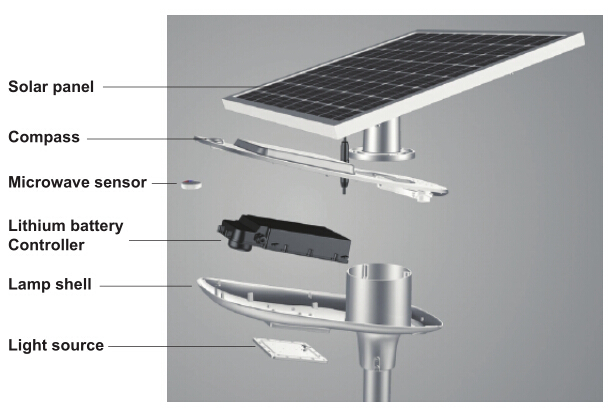 9 years experience on solar controller, 5 years experience on microwave motion sensor. Embedded single string control technology. More stable and longer lifespan. 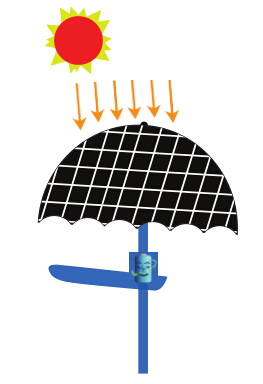 Integrate the solar panel, led body, battery and controller into whole system. Easy to transport, install and maintain. 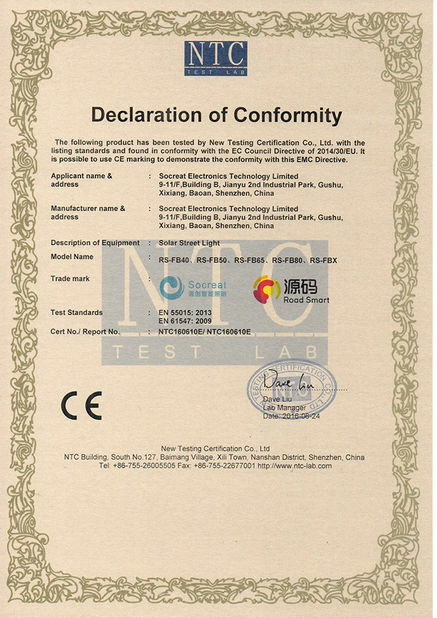 Socreat Electronics Technology Limited is a high-tech joint venture enterprise from Hongkong and Mainland, specializing in R&D, production and sales of intelligent LED lightings Headquarter office in Shenzhen, factory area is about 3000 square meters. 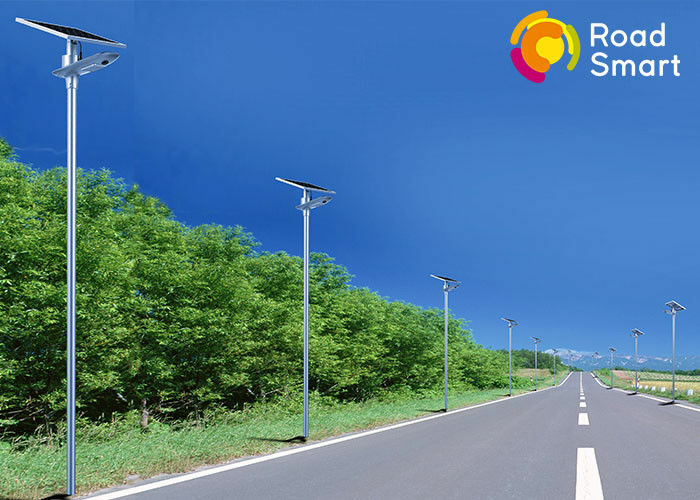 Based on "Come from nature, create our future" conception, we are devoted to R&D, production and sales of high quality outdoor led light, intelligent solar street light, motion sensor led light, portable solar lighting system.